SHARON BAIRD, Mousekateer, Interview with Torchy Smith. Sharon Baird (born August 16, 1943) is an American actress and dancer who is best known for having been a Mouseketeer.Baird was born in Seattle, Washington to Eldon Baird, an aerospace worker, and Nikki Marcus, a future talent agent. She has one younger brother, Jimmy, also a former child actor. She began dance lessons at age three, and won a "Little Miss Washington" contest at five. Her mother took her to California for the national competition and fell in love with the climate. The ... See More family relocated to Los Angeles, where Baird continued her dance lessons with Louis da Pron, among others.Baird appeared in her first film, Bloodhounds of Broadway, in 1950. At age nine she began regular appearances on The Colgate Comedy Hour television show with Eddie Cantor. She did episodes of several different television shows, and an unbilled song-and-dance number with Dean Martin in Artists and Models (1955) (which also featured fellow mouseketeer Nancy Abbate), just before being selected for the Mickey Mouse Club.Contrary to the impression given by Disney publicity, many of the Mickey Mouse Club cast had some prior experience in films and television. Baird was among the most experienced of these professionals, and performed with the show's "Red Team", or first-string unit, for all three seasons of original programming (1955–1958). Her specialty was tap, but she did other forms of dancing, as well as singing and acting on the show. After filming completed in 1958, Baird finished high school at Hollywood Professional School, then attended Los Angeles Valley College where she made the National Honor Society and was president of her class. She briefly interrupted her education in May 1959 for a short performing tour of Australia with the Mouseketeers, then graduated from college in 1963 with degrees in mathematics and secretarial science. In 1964, Baird married singer Dalton Lee Thomas, and, with a male friend of his, worked up a nightclub act called "Two Cats and a Mouse", which faded out, along with the marriage, by 1969. During the 1970s she worked extensively as a live "puppet" for Sid and Marty Krofft among others, doing children's shows such as H.R. Pufnstuf, The Bugaloos, New Zoo Revue, Sigmund and the Sea Monsters and Land of the Lost. Baird did rotoscoping work for Ralph Bakshi's late seventies film The Lord of the Rings. 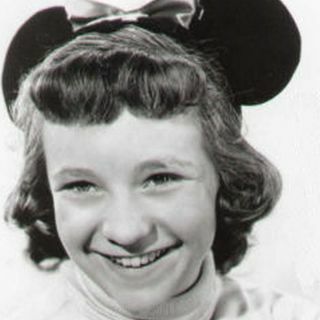 She was the live-action model for the part of Frodo Baggins, for which she did not receive screen credit.In 1980, Baird, along with the other Mouseketeers, did a television special for The Wonderful World of Disney, reprising her famous tap-dancing while jumping-rope routine. She then joined a smaller number of her colleagues in performing live shows at Disneyland on weekends for several years during the early 1980s. In 1984, Baird appeared on-stage in the Gallagher: Over Your Head comedy show. She did a tap-dancing routine and assisted Gallagher during his famous Sledge-O-Matic routine. For the critically panned cult film Ratboy, she played the title character under heavy makeup, being credited as S. L. Baird to hide the fact "Ratboy" was really "Ratgirl". Though she still makes appearances with the Mouseketeers, Baird gradually ceased doing professional engagements in the 1990s. She relocated from Southern California to Reno, Nevada about the same time, where she lives in semi-retirement.